The Reality Shock label – run by Kris Kemist out of Reading, England – returns in triumph with the release of the Ketch A Fire compilation. Spanning nineteen tracks, there’s a lot of standout material to be found, all in a vintage-tinged pulsing digital style. Selectors, if you’re looking for weapons to mash up the dance, you’re going to be quite satisfied. 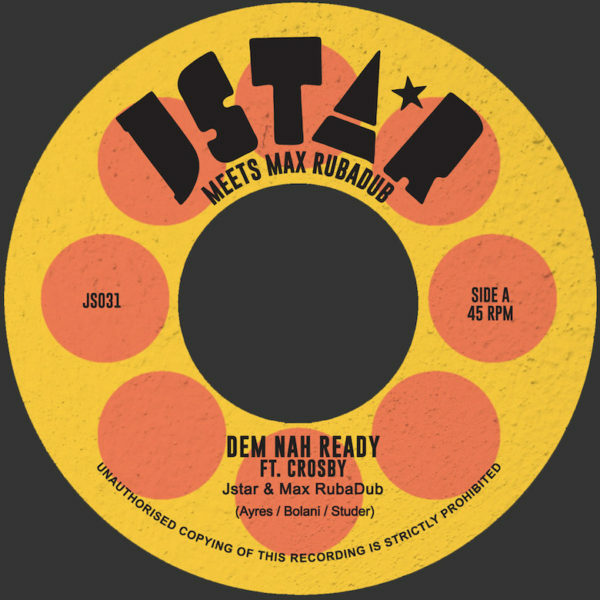 Appearing atop the bubbling riddims are plenty of skilled singers and deejays, from label regulars like Mikey Murka, Solo Banton, and Jah Screechy as well as Errol Bellot, Tippa Irie, and the resurgent King Kong. To open there is an all-star medley so stacked that the mic can never rest: somehow Blackout JA, Bobo, Deadly Hunta, Solo Banton, Donovan Kingjay, Daddy Freddy, Tippa Irie, and General Levy can all get packed into a four-minute frenzy. 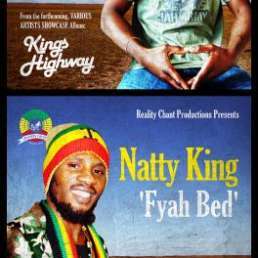 By special request it seems, in comes Jah Screechy’s “Walkaton,” dedicated to ‘all them people who use they feet for their transportation,’ a potent remake of his classic “Walk & Skank” in a pedestrian style. In rolls “Turn We Loose,” pairing Mikey Murka’s smooth tenor with Speng Bond’s gruffer flow for maximum impact. Speng’s rapid-fire delivery calls out systems aplenty before asking for unity in the community, while Murka’s condemnations of Babylon carry both passion and wisdom. The lead single, boasting a kung fu aesthetic via the intro and video, “Super Lyrics” finds Solo Banton toasting on a thick baseline. Slowing down the vibe momentarily, the intro to “Mad Banton” addresses government policy, before the beat drops and Jah Screechy explains just why he’s so upset about affronts to democracy and dealing with perversity before confidently concluding the verse: ‘Listen to mi lyrics, mi say listen carefully; if mi words too big check your dictionary.’ The riddim here is more reserved and melodic than the Digital Steppaz cut from last year. From Banton to Banton it is as Solo B comes “Full of Lyrics” himself, spitting knowledge as quickly as he can, successfully keeping pace with the frantic instrumental. Tippa Irie’s appearance, “Moving Ahead,” laments how ‘the earth run red; too much people out there mislead’ over a swift shuffle of a backing track. Beneath the title track runs a familiar bubbly groove (the instrumental of choice? ), a heater helmed here by Speng Bond (and once more later Daddy Freddy). This is another perfect interpretation of retro dancehall. With “Teach Dem,” King Kong seizes a moment for himself near the end of an already impressive album. His soaring vocals hit deep, as does his positive message. 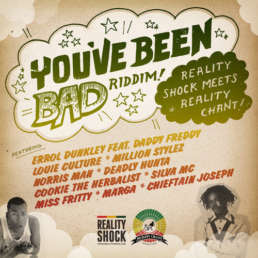 Rough and rugged, Daddy Freddy hits the booth running on “Strictly Reggae Music;” shouting out legends, running the dance, and switching styles: this is a clinic in how to elevate digital rub-a-dub. The final vocal cut comes from Jah Screechy, which fittingly gives love to all his label-mates on “Roll Call.” A well-curated conclusion… although there’s also an ensuing-yet-mournful quartet of dubs. These push Mikey Murka and Speng Bond’s collaboration, Solo’s “Super Lyrics,” plus Errol Bellot and King Kong’s contributions into the echo chamber, freeing up the drum and bass by paring back the vocals. 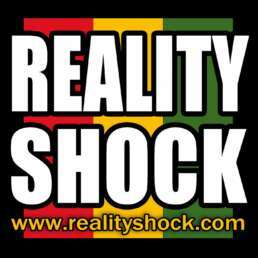 Well-worth acquiring for those that appreciate the stylistic approach and the breadth of vocalists, Reality Shock has definitely succeeded in catching fire! Both CD and digital out now via Bandcamp.